Your Village at Work, August 15! 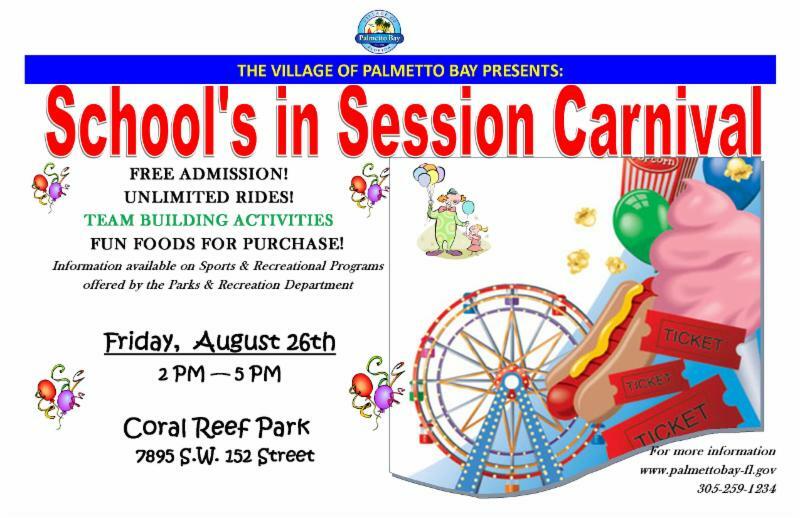 Join the Village of Palmetto Bay on Friday, August 26, from 2:00 pm to 5:00 pm at Coral Reef Park for a FREE after school event filled with fun activities, rides, games, music, and food. This event will provide a great opportunity for children to meet new friends and socialize through team building activities and games. The Parks & Recreation Department's Sports and Recreation program instructors will also be available on site to answer any questions you may have about enrolling your child in any of our extracurricular activities and sports programs. 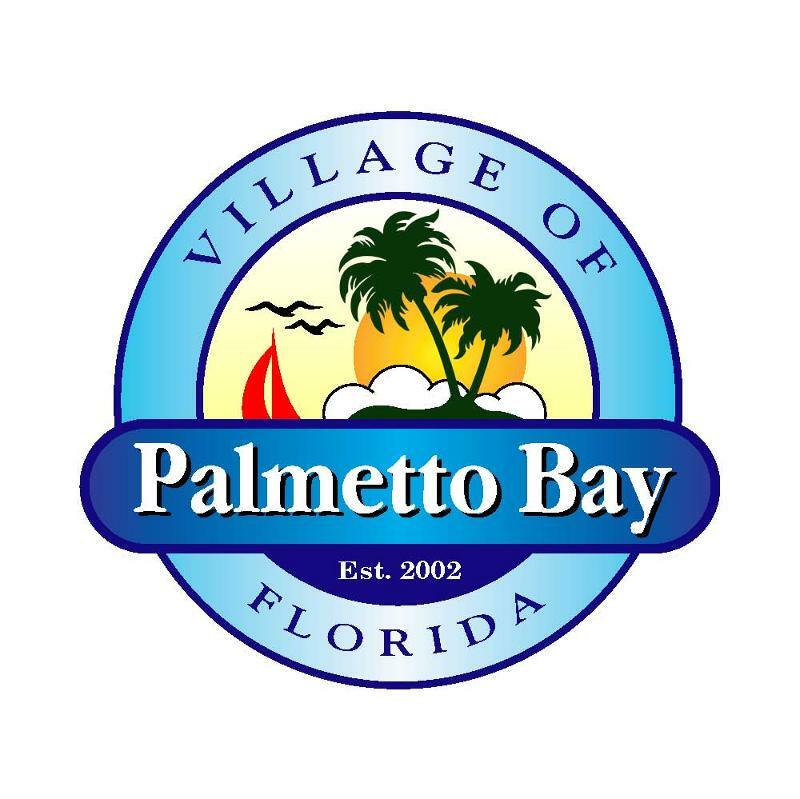 For more information, please visit www.palmettobay-fl.gov or call 305-259-1238. We encourage you to visit our Mosquito Protection Awareness page for helpful information and tips on how to keep you and your family protected against mosquitoes. Registration is open for the Palmetto Bay Policing Unit's second class for the S.A.F.E. program. Class will take place on Monday, August 29, 2016, 6:30 pm to 8:30 pm, at Village Hall. For further information, please contact Officer Peter Judge at (305) 278-4018 or e-mail pjudge@mdpd.com. Please join the MDC Parks, Recreation and Open Spaces Department, in collaboration with the Department of Regulatory and Economic Resources (RER) Division of Environmental Resources Management (DERM) and Miami-Dade County Health Department/ Florida Department of Health, for a Public Meeting regarding the environmental findings, the health evaluation for Chapman Field Park and the park’s corrective action plan on Wednesday, August 17 at 6 p.m. at Deering Estate (16701 SW 72 Ave., Miami, FL 33157).